On January 17, the board finalized and signed TIC’s constitution. Now, Darryl is working on drafting the Bylaws, HR policies, recruiting staff/teachers, started setting up the website (www.trinitycambodia.org), and preparing promotional materials for classes. Dr. Kwong, the CEO, has been meeting with potential partners in other countries. So far, TIC has been operating mainly out of our house. We are scheduled to move in to our subleased office and classroom space in the Learning Lab building on February 15. We really need your prayers. When God does a great work in our midst, the enemy often brings great attacks. Please pray for protection over all of those who are, or soon will be, part of TIC, including their families. Pray for special grace, understanding, and unity during this time. Pray that God will call and raise up the students, teachers, and support staff, for the upcoming classes. In January, Darryl finished editing the content of all 33 chapters of our new book. Doug, the co-author, has pretty much finished his editing process as well. Hoeun, the translator, has translated 10 chapters into the Khmer language. God has blessed us with Amparo, who has volunteered to proofread the book. Phil, an artist, has also offered to provide some illustrations. We are encouraged that God has raised up this sister and brother, to sharpen this book beyond our capabilities. When Darryl e-mailed Doug about Amparo’s willingness to proofread, he wrote, “I have a friend how will proofread our manuscript.” This convinced Doug that Darryl needs help . . . including proofreading assistance. Once the book is translated, proofread, and illustrated, Darryl will turn it in to Fount of Wisdom for publication and distribution. Please continue to pray for each person involved in this project. We believe that this book will help give Christians more confidence and open the hearts and minds of non-Christians, for generations to come. 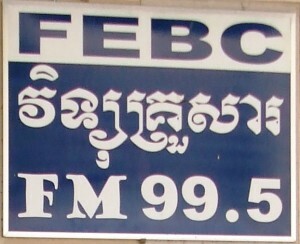 So far, Darryl has written 15 scripts for the radio program which will air on FEBC’s Family 99.5 FM in Phnom Penh. There are some new developments which bring the phrase, “two steps back, ten steps forward,” to mind. When Darryl started developing the concept for the Anchors of Faith radio program in 2010, FEBC’s financial status was much stronger. At that point, they only needed Darryl to supply the ideas and write the scripts for one of the three segments. FEBC was able to do the rest. In 2011, the Family 99.5 FM station had to stop broadcasting on Saturdays because of a significant drop in international donations. 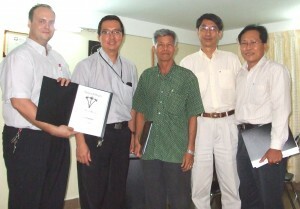 For 2012, a church in Singapore has provided funding for them to broadcast on Saturdays. For this reason, FEBC Cambodia has to find ways to balance their budget. Which brings us to the steps back: 1. They have requested, and Darryl has agreed to raise/donate for the productions and broadcast costs ($90 per 30 minute episode/ $2,340 for weekly programs for 6 months). 2. FEBC is planning to shift their FM station to mainly pre-evangelism and evangelistic programs and to use their shortwave and recording distribution network for training/discipleship programs. For these reasons, the Anchors of Faith radio program will only run for 26 weeks from July to December on 99.5 FM. We are trusting God to provide to cover this expense. If God opens the doors and funding in the future, FEBC would welcome Darryl to develop a new radio program with a pre-evangelic or evangelistic format. Now for the good news, even though Darryl originally hoped that the Anchors of Faith program would run for a long time, he is confident that, in 26 half-hour episodes, most of the most important topics such as: the existence of God, creation, truth of the Bible, evidence for Jesus, and answering objections to Christianity will be covered. It is God’s timing that the radio program will air just as the Christianity: Reasons for Faith book goes on the market. For the first time, Cambodians will have access to the evidence for the truth of Christianity in printed and audio formats. 1. Anchors of Faith Seminar: When the Anchors of Faith radio program finishes in December, Darryl would like to offer the listeners, missionaries, and others an Anchors of Faith seminar to give them additional training in apologetics, maintaining their faith in a non-Christian culture, and life lessons from mature Cambodian Christians. 2. Anchors of Faith Recordings (MP3/CD/Cellphones). God is bringing affordable technology to Cambodia. In the past, in order to distribute recordings, ministries such as FEBC had to manufacture and distribute special solar/crank powered radios/MP3 players. Now, low cost netbook computers with a long battery life are available locally, cellphone companies have made affordable 3G Internet service (via USB modems and cellphones) available even in the most remote/jungle areas of Cambodia. Meanwhile, cell phones and other devices which can play MP3 (audio) and MP4 (video) recordings are widely available at prices that more and more Cambodians can afford. FEBC is planning to place more than 7,000 hours of Bible teaching and other radio programs, including the Anchors of Faith radio program, on a new website. 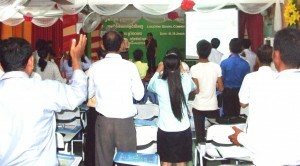 Then, they will recruit Christians, across the nation, that have computers and internet access to download these recordings and transfer them to the cell phones and other players of Cambodian Christians, who do not have access to the internet. If one person in each church or town has a computer and internet, the entire Christian population would have access to thousands of hours of Bible teaching/discipleship recordings. Instead of just playing a radio program one time and putting it on the shelf, radio programs could continue to renew minds and transform lives for years to come. 3. 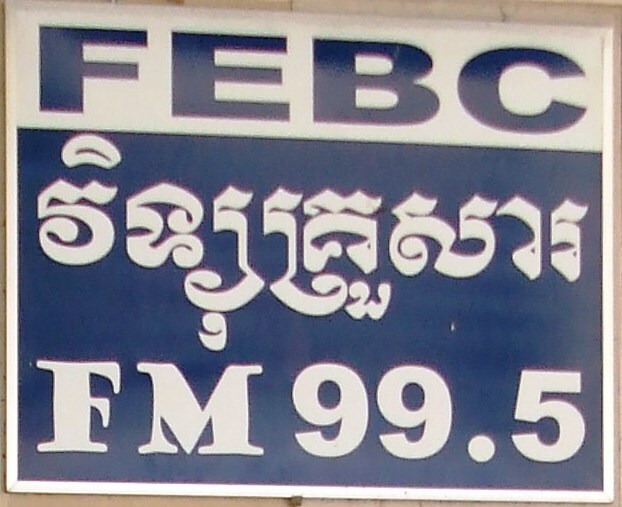 Other Languages: FEBC Cambodia also hopes to start smaller, lower-powered radio stations for specific neighborhoods that have a high concentration of Chinese or Vietnamese. There may be opportunities to translate and broadcast the Anchors of Faith and other radio programs in these languages as well. Providing materials in multiple languages has also been one of Darryl’s visions for many years. 4 Videos: The deepest burden of Darryl’s heart since 2003 has been to produce and distribute evidence-based evangelistic videos. Every step in ministry we have taken for years has been toward that calling. Darryl would like to produce short videos that would answer a specific question/objection to Christianity such as the existence of God, truth of the Bible, or the problem of suffering etc.. These videos could be distributed to Christians on discs or placed on their cellphones. When they have an evangelistic opportunity, they could play the appropriate video for their non-Christian friends and family. This would increase their confidence so they would be more likely to share their faith more frequently. There may be an opportunity to distribute these videos through FEBC’s recording distribution network! If this door opens, it would be a major boost for this video ministry. God willing, within a few years, Cambodians could be very well equipped to confidently “give a reason for their Hope,” with a book, audio recordings, and videos! Kampong Chhnang so that Darryl could preach at Toul Ksaich Church and lead the devotions at Tahas Bible Institute. It was also a good opportunity to reconnect with friends. Benjamin was very happy to spend the weekend at Yay and Tha’s house, his Cambodian “grandma and grandpa’s” house. 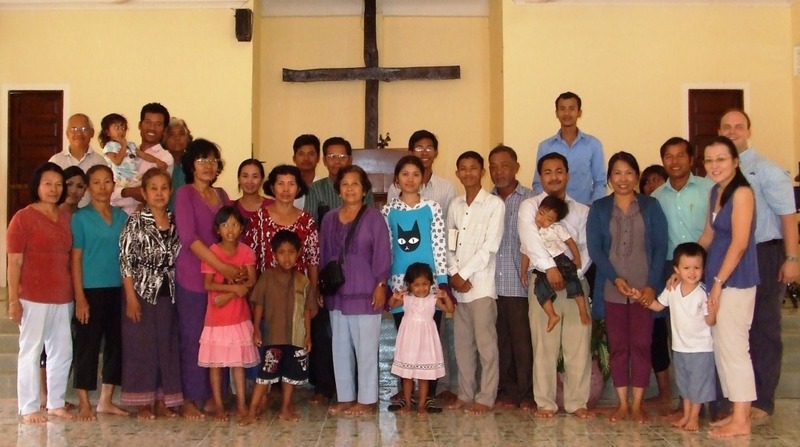 Please continue to pray that the core group of Christians at Toul Ksaich church will continue to stand strong in their faith and that they will grow even stronger. Also pray for opportunities for them to reach out to the community. Pray that God will also strengthen and bless Tahas Bible Institute so that they can strengthen even more bi-vocational Christian leaders, many of whom are rice farmers. Cambodian friend, Phany. It was encouraging to see how God has raised up this ministry since God used Laura and others in Darryl’s old team of English teachers to reach out to Phany back in 2001. From there, Phany and Laura reached out to his family and village. Later, they helped start the children’s ministry. 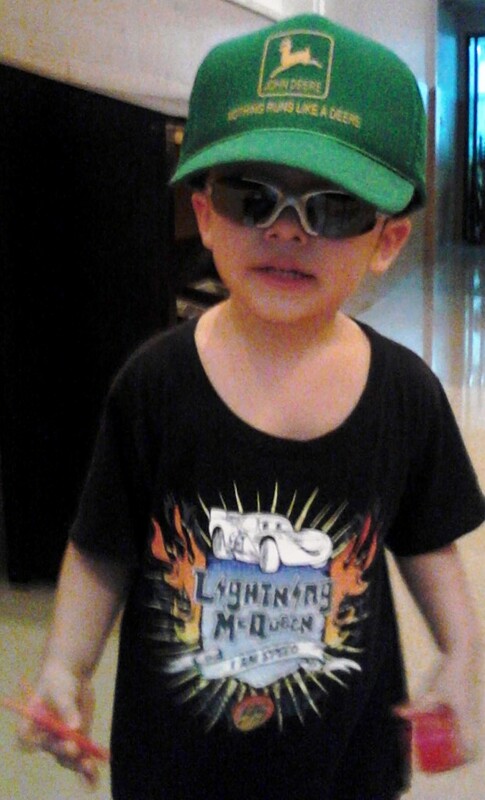 The middle of January, God provided Thun, a Christian lady, to come and help Kayo with running our house. 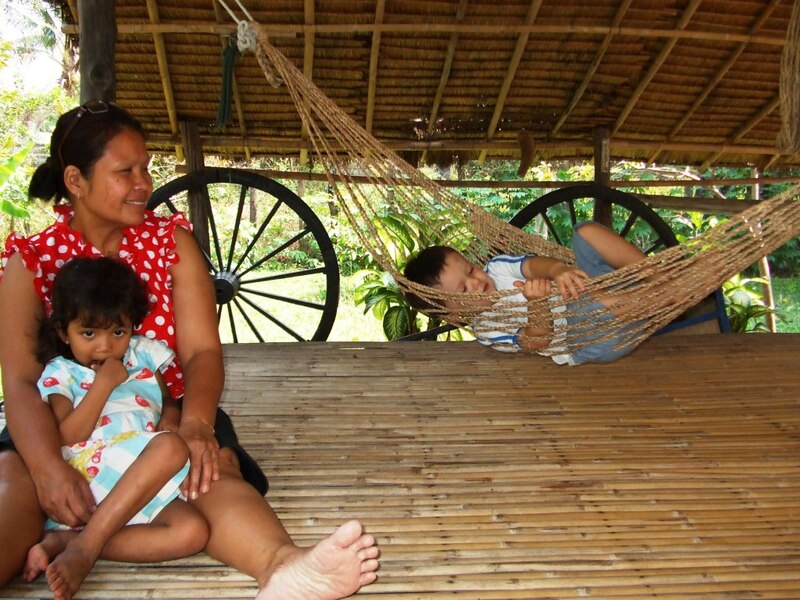 That made it possible for Kayo to re-connect with and help Kone Kmeng children’s ministry, and Precious Woman a ministry founded by Phany’s wife, Lida which reaches out to Cambodian women who either are at risk of getting trapped in prostitution. Kayo was able to share her testimony and play her flute for the ladies at that ministry. She is praying about becoming involved in the international church’s worship team. Kayo was also able to resume her accounting, writing Japanese newsletters/prayer requests, and planning our upcoming home assignment in Japan, April 3-June 12. Kayo is also developing her Cambodia driving skills, which is completely different from driving in Japan or the US.